Good. 8466327959 ALL BOOKS SHIPPED WITHIN 1 DAY OF PURCHASE! Very Good. 9684061404 ALL BOOKS SHIPPED WITHIN 1 DAY OF PURCHASE! Small tear to the front cover. Previous owners name inside front page. Good condition is defined as: a copy that has been read but remains in clean condition. All of the pages are intact and the cover is intact and the spine may show signs of wear. The book may have minor markings which are not specifically mentioned. Most items will be dispatched the same or the next working day. 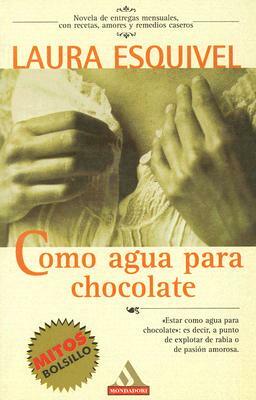 its a nice read if u speak and read spanish. laura has a great writing style, and the food sounds awesome.